Palate: Sweetish on entry, drying - many ripe fruit notes, raisin, ice wine, vanilla, and oak pepper. A lingering, oaky and vanilla finish. Contrary to its name, the 1738 Rémy Martin Acord Royal Tradition Cognac was neither distilled, nor bottled in 1738: The date is a reference to Rémy Martins early history. It's a Fine Champagne blend of over 240 eaux-de-vies, perfectly combined to create a very fruity, aromatic, yet slightly spicy Cognac. In fact, it's been reported to have many of the tastes and aroma characteristics that appeal to those who enjoy whisky. A Cognac that represents excellent value for money, and one that's extremely versatile to own. It can be enjoyed in many ways. This includes the traditional - neat, as a digestif - but also on the rocks, or combined with a mixer or as a component of your favorite cocktail. The quality of this Cognac has been recognized by winning a double gold at the 2017 San Francisco World Spirits Competition. Wonderful for the price, a marvelous cognac. The deep amber color is very enticing, and the glass cries out to be tasted. My nose isn't the most sensitive, but I definitely detect an apple aroma and some oaky overtones. The first sensation is definitely sweetness, and ripe fruit blend follows, and my overall sensation was of vanilla. The finish was extremely smooth and satisfying, with the vanilla and oak being most prevalent. I was able to buy this locally in the North Denver area for $46 a bottle, making it an unbeatable bargain in a Fine Champagne Cognac. In a get together with some friends, this was the winner in a blind tasting session. The other competition included Daniel Boujou VSOP, Courvoisier VSOP, and Hennessy VSOP. I've listed the competition in order of the relative finish. Yes, this was the sole Napoleon w/r ageing, but the nose and finish put it ahead of all others. Appearance: Average density, amber color.Nose: Spice, cocoa powder.Taste: Initial attack of nutmeg followed a great smore finish (graham crackers, toasted marshmallow and chocolate).Overall Impression: A dark and more masculine cognac, nice value. Where i can buy in New Jersey or New York? Tried it this weekend. I had it neat with an ice cube to see if it opened up. Spicy on the palate. Smooth finish. Slight caramel notes. 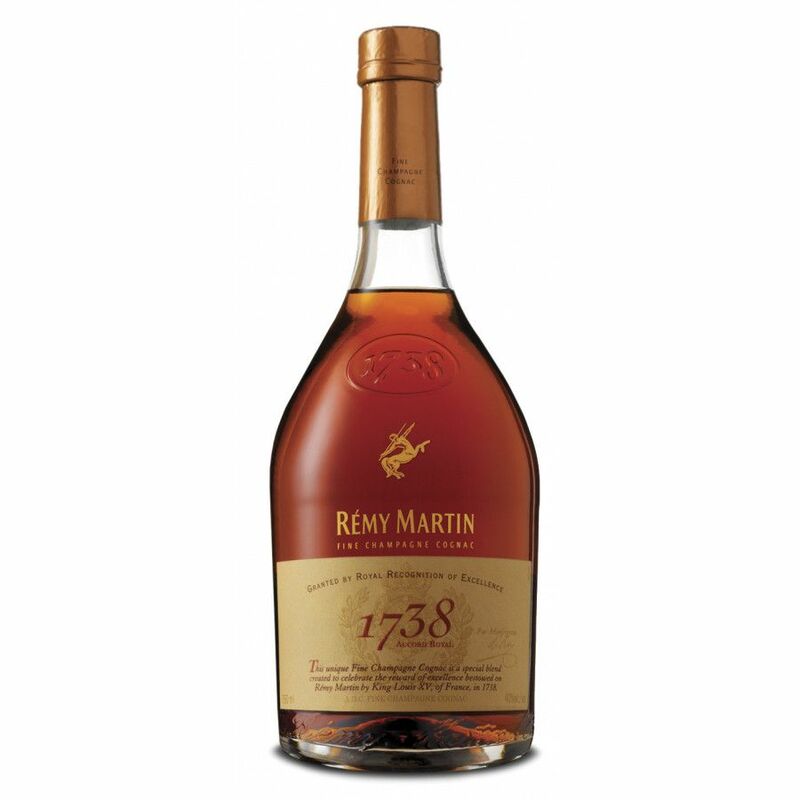 remy 1738 really costs 100 € - 150 $ ? are you sure that's the price, guys? They have it for about 45 usd at a store near me i plan on getting a bottle soon.